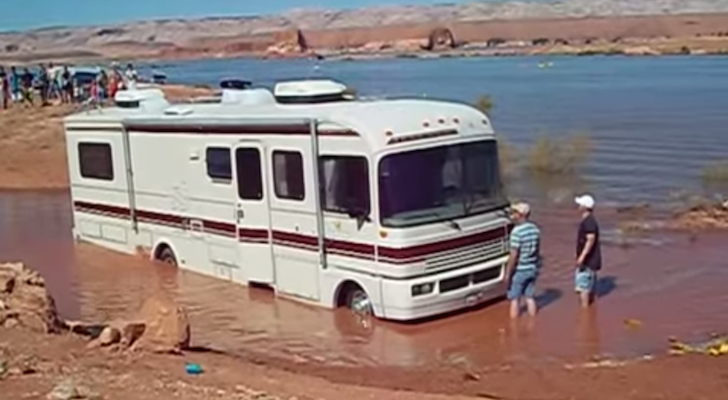 No matter what type of camper you are, there’s an RV on the market that is just right for you. 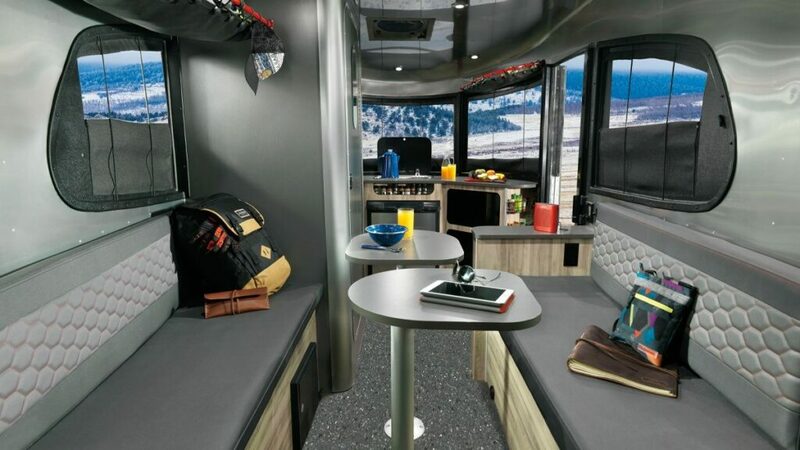 At the recent RV Experience (RVX) Reveal in Salt Lake City, Utah, a group of judges selected the best RVs and trailers for nine different mobile lifestyles, including the Outdoor Adventurer. 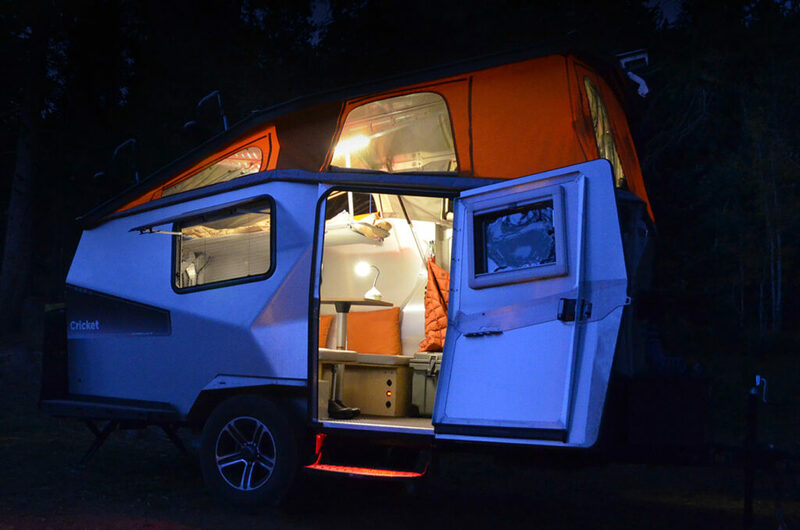 This category focused on durable adventure campers that can go off-road and off-the-grid. They were also deemed the best in class for their adaptable space to store your bikes, kayaks, fishing equipment, surfboards, and other gear. The top pick in the Adventurer category was the recently debuted SylvanSport VAST. 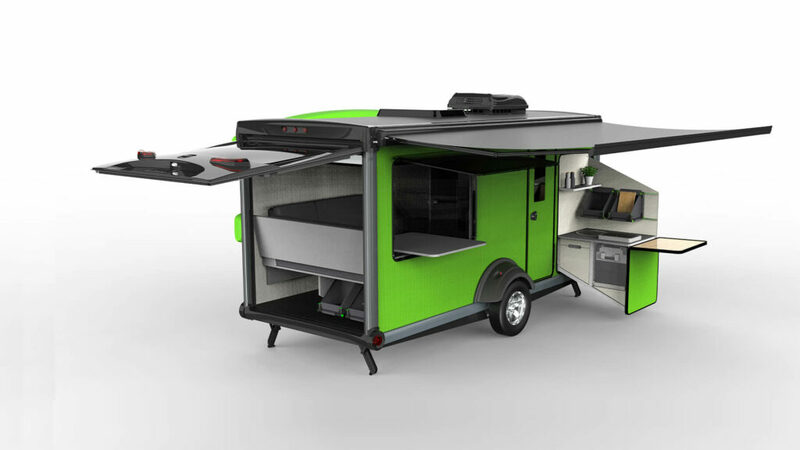 This new travel trailer earned the spotlight for its innovative design unlike any other camper in the industry. The VAST has two queen-size beds, one of which lowers from the ceiling and can be stowed out of the way. The second bed can be set up in minutes with the lounge cushions. The modular lounge is built on a track and can slide forward to open up space for your gear. The exterior has built-in rails to hold kayaks, and a compartment with protected storage for propane tanks, batteries and more. The large tailgate opens up to make loading gear quick and easy. 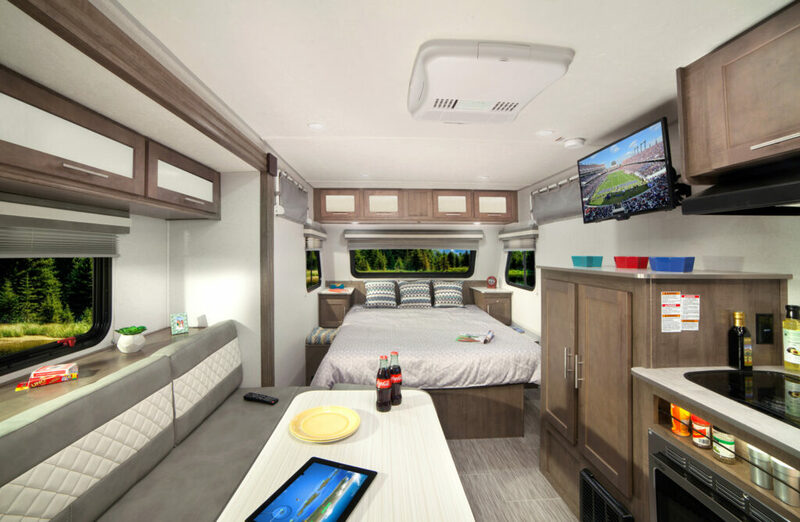 The VAST also sports an all-season kitchen with a 2-burner gas stove, portable fridge and freezer, an integrated sink and storage. The whole kitchen unit can slide out for indoor or outdoor cooking. 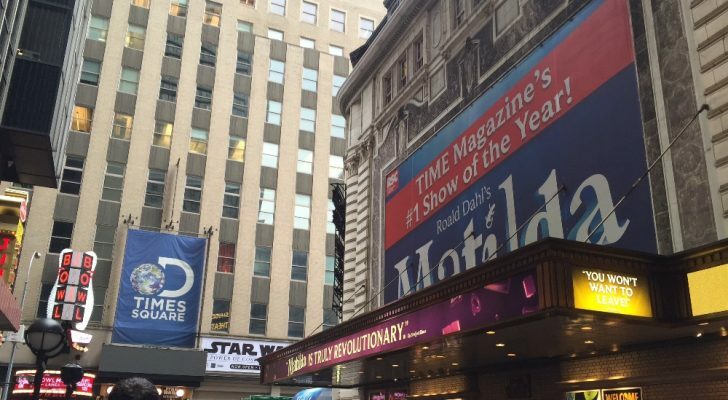 The trailer will be available in a few different floorplans. 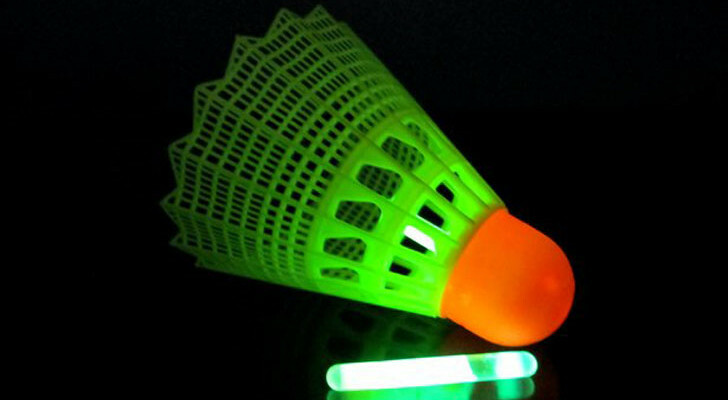 You can learn more about the new VAST on their website at sylvansport.com/vast. 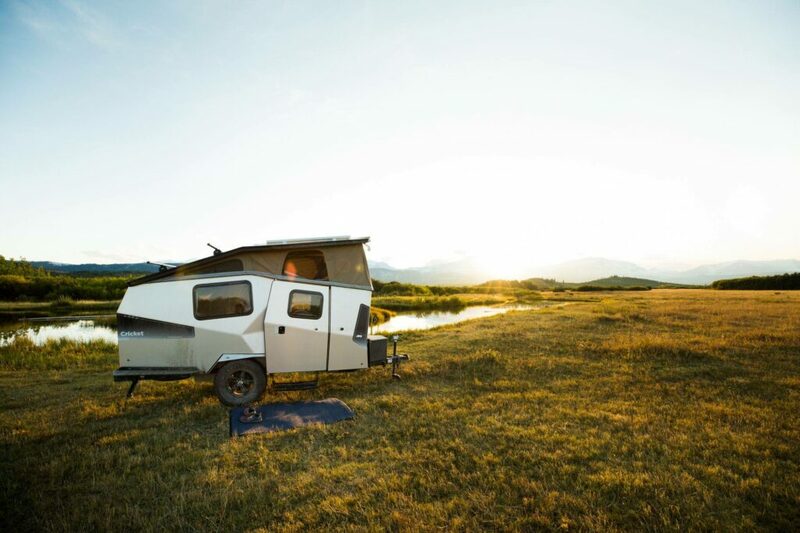 Another top choice at the RVX Reveal was the new Basecamp, Airstream’s smallest trailer. The mini silver bullet is about 16 feet long and light enough to be towed by most mid-size SUVs. The Basecamp has about 126 inches of cargo depth space, from the back hatch all the way up to the cabinets in the galley. 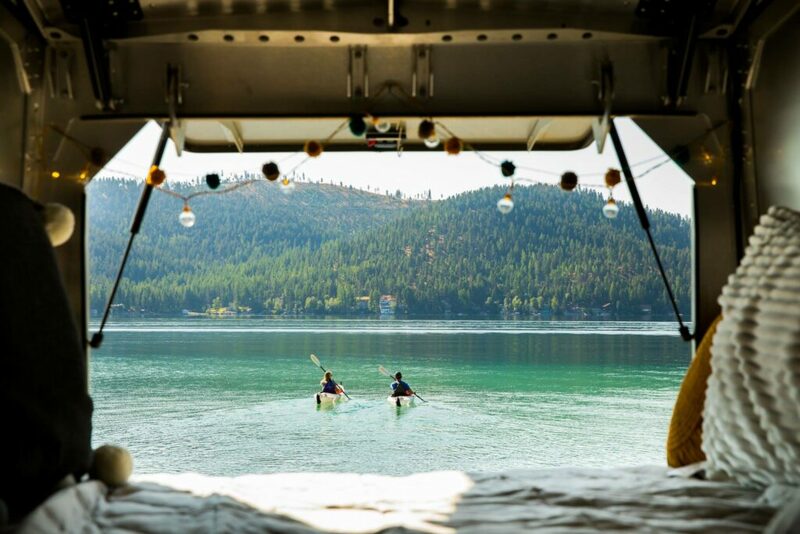 This provides more than enough room to transport your kayaks, bikes, and fishing equipment. The rear of the camper has two benches with enough seating room for about five people. The benches can also flip up to reveal hidden storage space underneath. When it’s time to sleep, they can be converted into a comfortable full bed for two. In the front of the trailer, the kitchen has a large panoramic window so you can cook with a view. The space comes equipped with a two-burner LP cooktop, a sink, fridge, and optional microwave. A fold-down glass cover on the sink and cooktop also provide extra counter space. The Basecamp also comes standard with a compact wet bath. 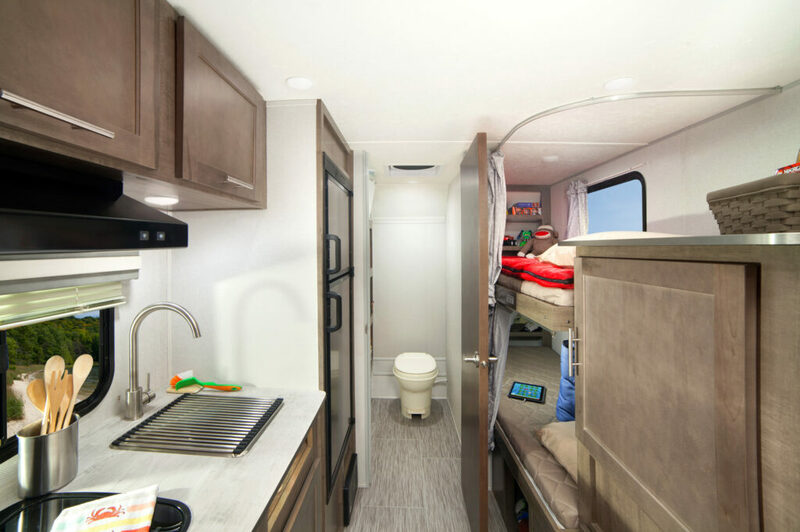 The small space doubles as a restroom and shower stall with a porcelain toilet and handheld showerhead. There is also a pass-through port that allows you to pull out the showerhead to rinse gear off outside. The Basecamp X Package, with all-terrain tires and added ground clearance, is an upgrade for those tackling rough roads. 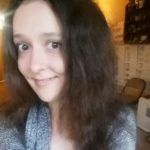 You can get more information on the Airstream Basecamp on their website. 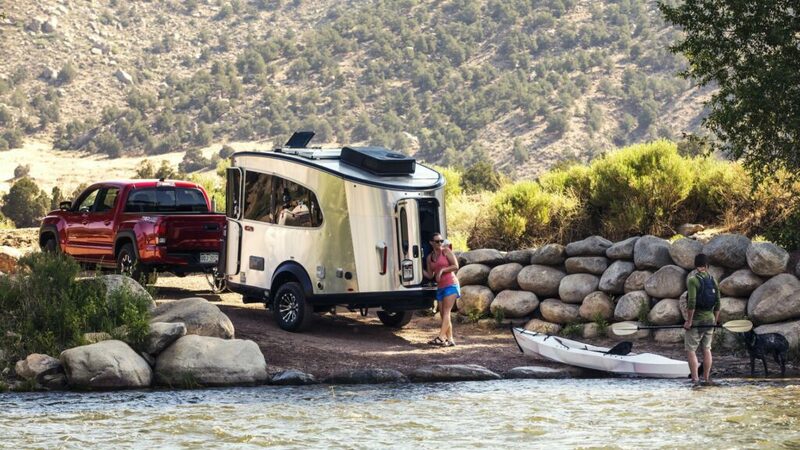 The No Boundaries line is one of Forest River RV’s most rugged campers yet. The trailers range in length from 12 feet up to 25 feet and they’re light enough to be hauled by smaller tow vehicles. 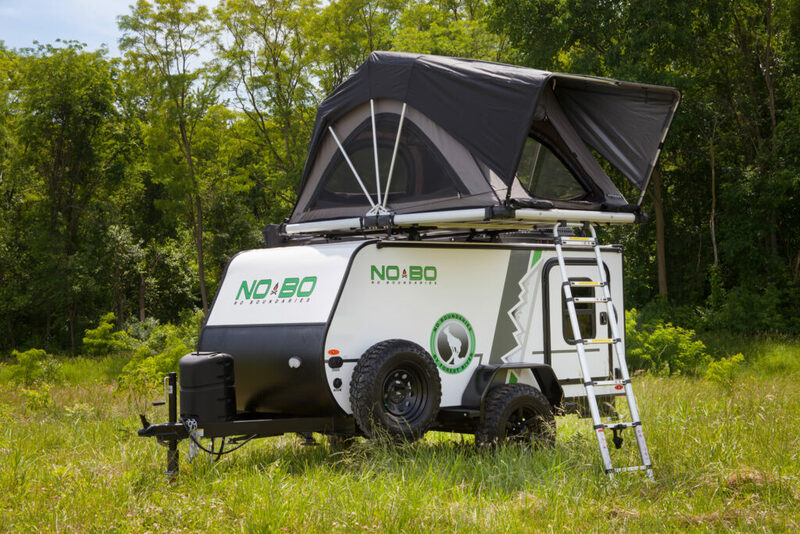 The NOBO 10 can be equipped with an optional bike rack or even a large entry ramp for a full-sized quad or dirtbike. 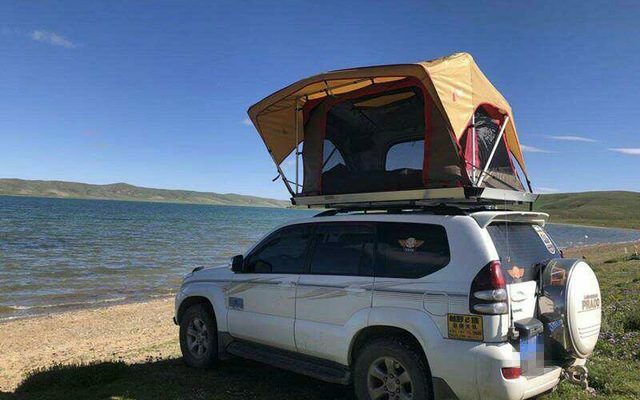 An optional rooftop tent can be included to sleep two or three people. Several floorplans and features are available depending on your needs and towing capabilities. Most of the NOBO trailers have a queen-size bed and pantry storage. Some also come with a shower and bunk beds. 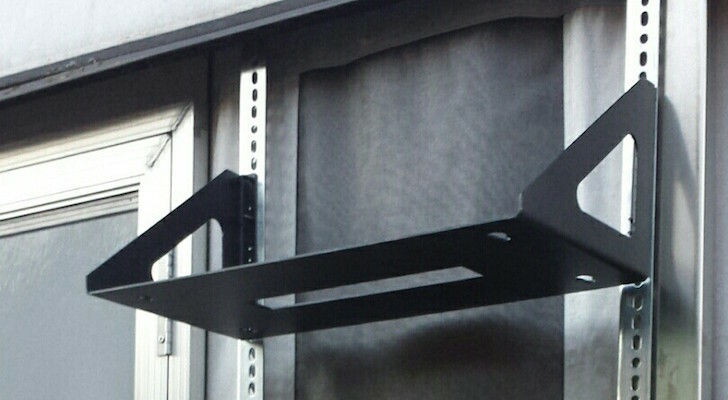 An optional Batwing Awning for sun coverage is available for the NOBO 10 trailers. The 16 Series and above have 12 to 16-foot awnings for shade. 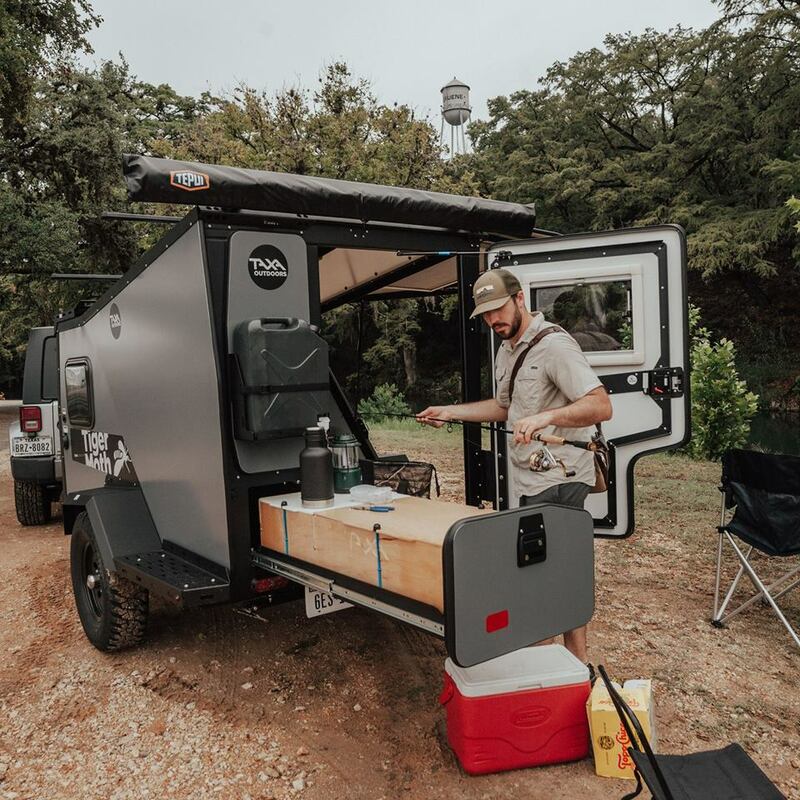 Their Overlander Package also comes with a kayak holder, vortex bars and more. 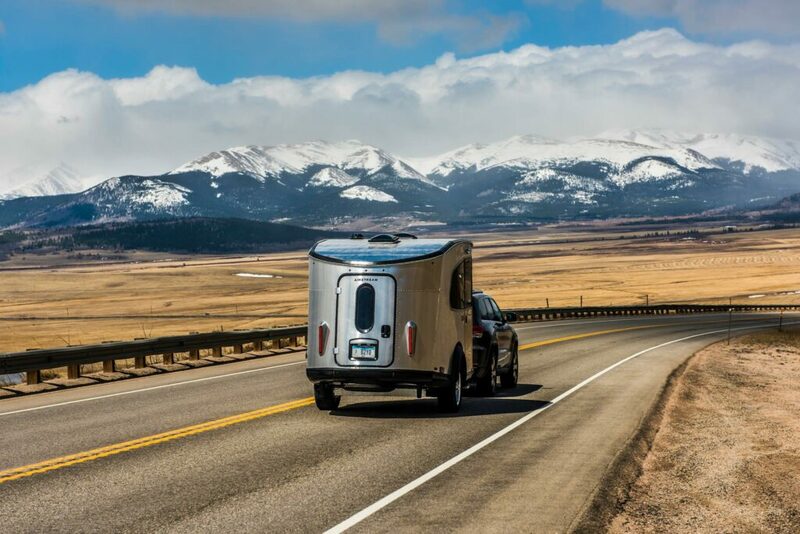 You can learn more about all of the No Boundaries trailers from Forest River RV. 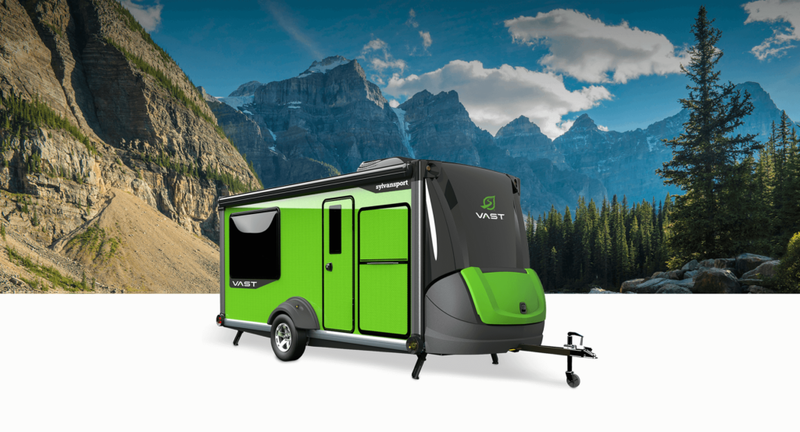 Taxa Outdoors earned two of the Judge’s Choices for their versatile Tigermoth and Cricket trailers. With a dry weight of only 900 lbs, their ultralight Tigermoth can be towed by most cars and SUVs. The 12-foot Tigermoth was inspired by NASA design and can dry camp for over a week straight. 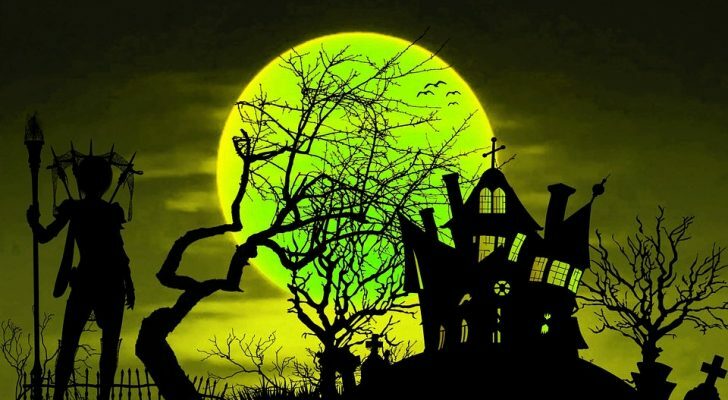 It has an integrated electrical system with LED lights, 12V outlets, water, and optional solar panels. 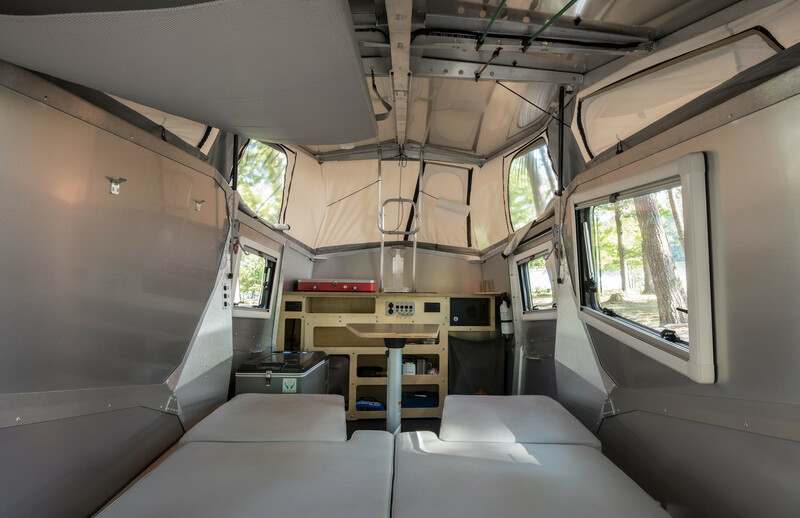 The interior comfortably sleeps two adults, and the rooftop tent can fit two kids. 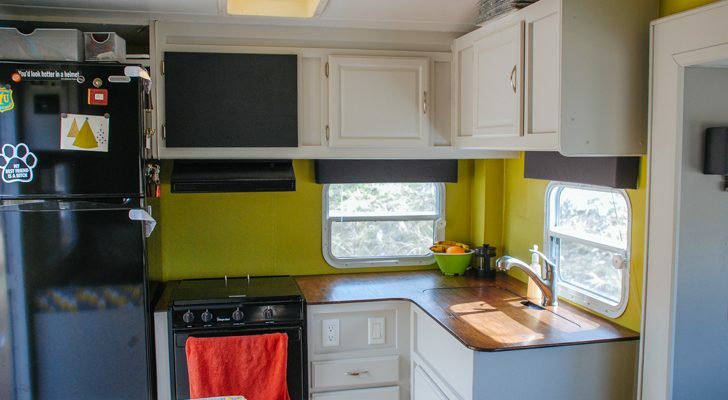 The exterior pull-out kitchen has a large cutting board, cubbies, and an optional 2-burner propane stove. An optional portable toilet, shower tent, and mesh screen door are available as well. 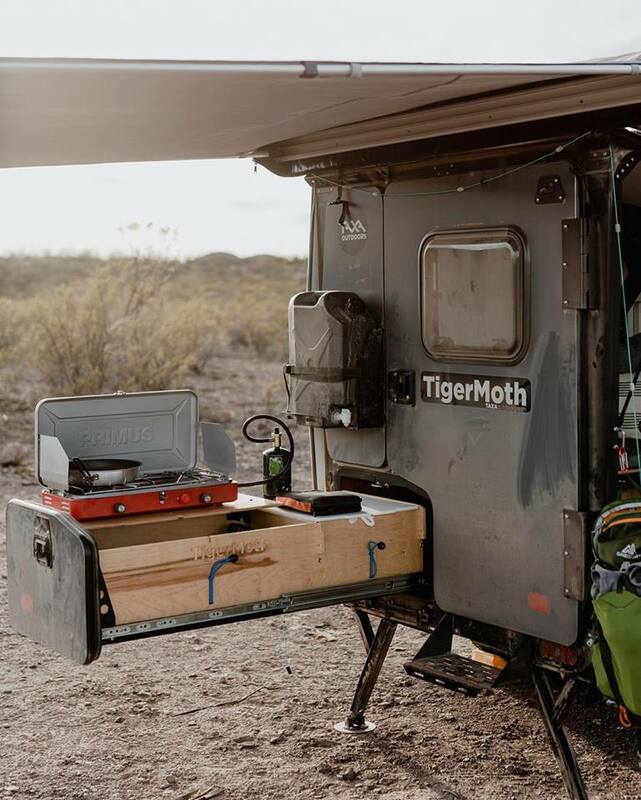 The Tigermoth trailer has a roof rack and a 300-lb capacity cargo deck to store all your gear. Loading and unloading is easy through the trailer’s large side hatch door. 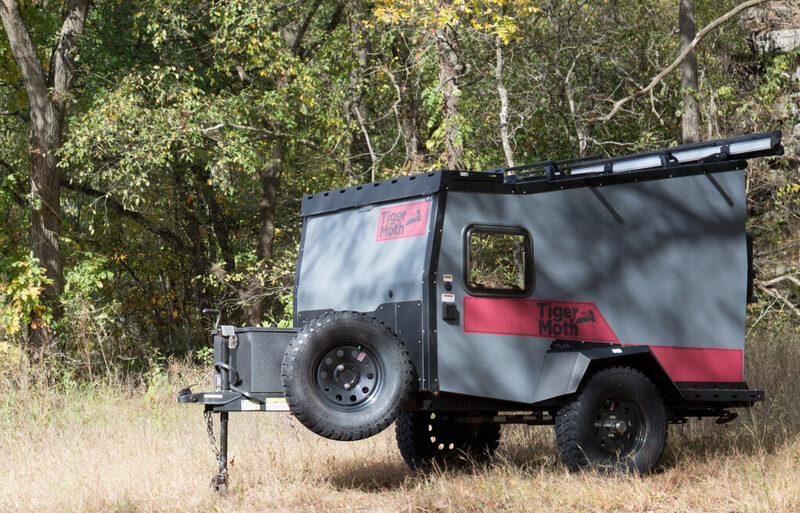 The rugged Tigermoth trailer rides on 15-inch tires with 12 inches of ground clearance. You can learn more about Taxa Outdoors on their website. Taxa’s Cricket camper is a little more spacious than their Tigermoth at about 15 feet long. 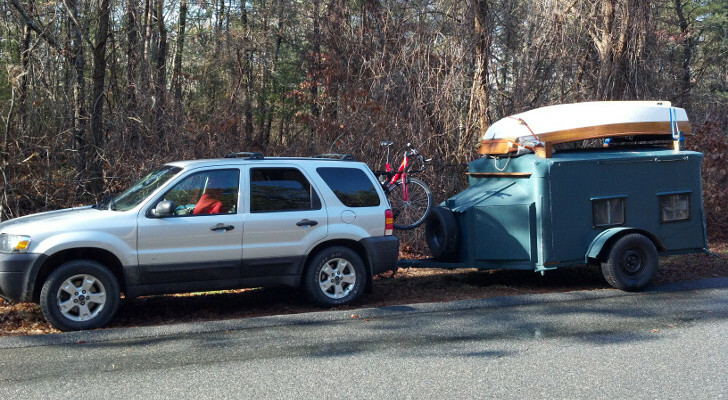 It’s likewise very easy to tow and relatively lightweight at about 1450 lbs. 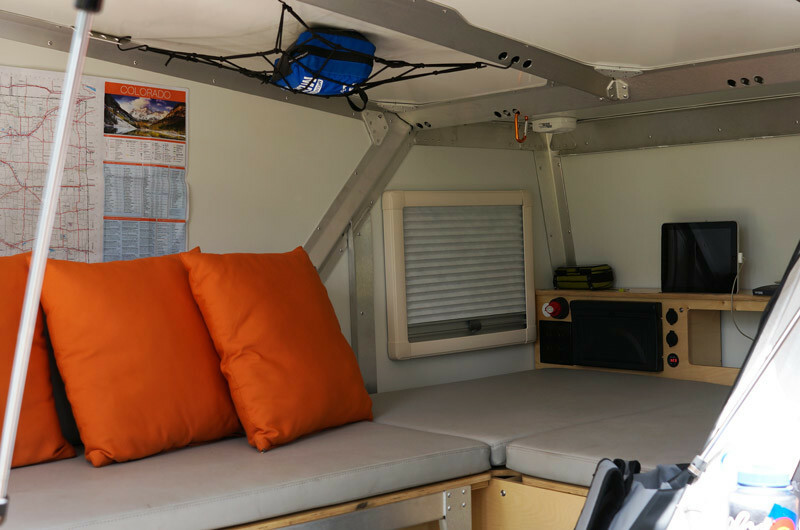 The V-berth bed, as often seen in boats, sleeps two adults and has built-in storage underneath. The kitchen has six storage cubbies and a large countertop with a covered sink. The interior has optimal air flow between the four windows with shades and screens, and the pop-up roof with five additional mesh windows. There’s also an extra large 32″ by 20″ window that frames the relaxing views from your campsite. The Cricket can be powered via the 110V outlet for shore power, but it also comes pre-wired for solar with Zamp solar inlets. 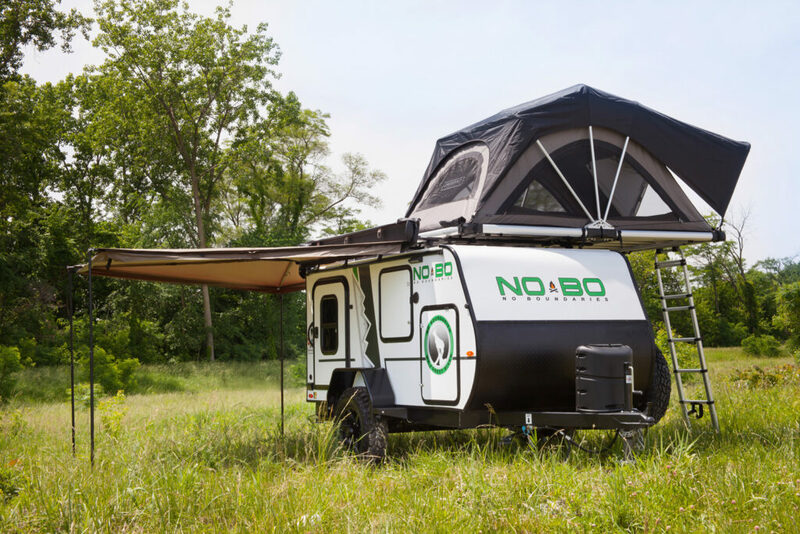 The camper’s battery can last off-the-grid for up to three days at a time. Owners can also customize the trailers with upgrades like a fridge, furnace, and a portable toilet. You can learn more from Taxa Outdoors here.